I've been on a headphone shopping spree lately - after most excellent Sony WI-1000X (which I am loving after installing custom earbud tips) I decided to splash a bit more cash and went for the ultimate headphones of all (or so they said) - a remake of already great Sony 1000X, namely Sony 1000XM2. Wouldn't bother you with a full review: after all, you can just go to What HiFi review and find out for yourself why did they award them full five stars. The sound is great and rich, noise cancelling is not affecting the richness of the sound in the slightest (with a small caveat, but more below). 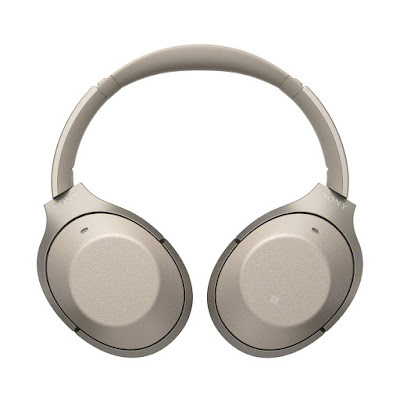 The fact that they support LDAC codec (available in Sony devices for a while, and for other OEMs since Android Oreo) only contributes to rock-solid bluetooth connection with the quality frankly way beyond what most accomplished listeners can distinguish from wired connection. So how these cans fare in real life? A big problem in my opinion is that as soon as you start moving your head around - bobbing or swaying sideways, or just quickly turning it left or right, the sound starts ... floating. I can't find better word to describe it, but sometimes it feels like centre of the sound stage is flowing sideways. You don't need to do this deliberately - merely turning your head to look for sideways is enough to trigger this behaviour. It almost feels like noise cancellation algorithm is trying to compensate for the movement somehow, but is late for just a fraction of second, and this is incredibly distracting. So the sound quality is amazing, and noise cancellation is top notch - but only if and until you are staying relatively still or at least move very carefully and gently. I guess it would work really well on long flights (didn't have a chance to do my usual LHR-to-SFO in this headphones yet) but if you are walking, or standing in the train, you will feel the pain. Lo and behold, the headphones will probably go back to Sony, despite all their greatness. Which is a shame really - I feel like a little bit of testing in more realistic scenarios could've resolved many of these problems.